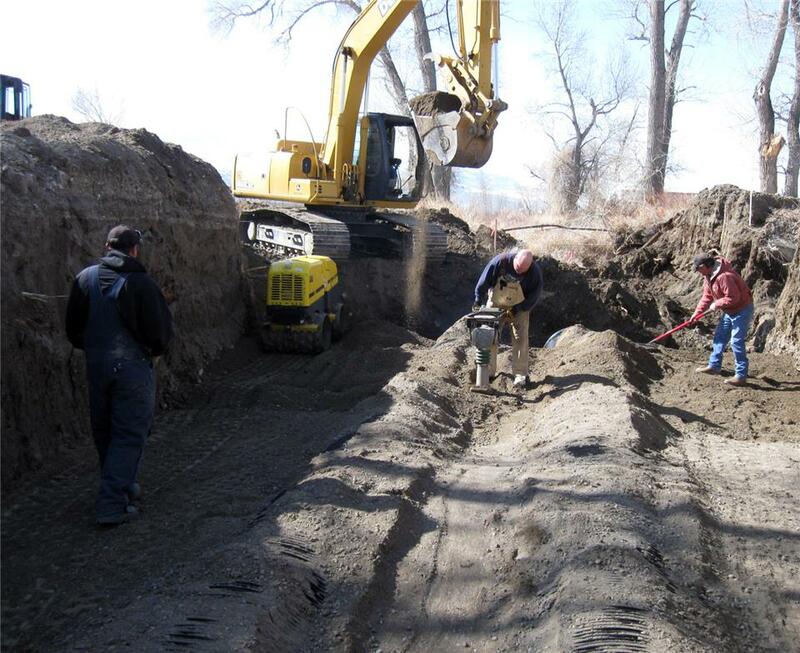 In Spring 2014, Park County decided to reconstruct an irrigation siphon that ran beneath Bear Creek and flowed along the intersections of Wilson-McKissack in Cody, Wyoming. The siphon and diversion structure at the intersection of Bear Creek was intended to channel high flows and prevent the likelihood of ponding and migration around the culvert for improved hydraulics against the threat of unusual storm runoff in the surrounding area caused by flood waters. After looking at several options, the County selected a unique solution provided by Contech Engineered Solutions in which DuroMaxx® Steel Reinforced Polyethylene would be used for the dual barreled siphon due to its watertight joint capabilities, ease of installation and overall lower cost. The original creek culvert installed underneath the irrigation ditch was undersized and had failed over time due to improper construction methods – becoming pinched beneath the weight of the irrigation channel. The 80 LF of 54-inch diameter 5x1 galvanized, HEL-COR Pile - Shell pipe arch would be used for the creek crossing while buried directly beneath would be the double barreled run of 160 LF of 42-inch diameter DuroMaxx® Steel Reinforced Polyethylene for the irrigation siphon. The steel reinforced profile of the DuroMaxx pipe would provide all the strength of steel while the polyethylene would provide the necessary durability. One of the main challenges of the installation was the extremely tight sight constraints. The geometry of intersection of the creek and irrigation canal alignments underneath the county road were both very similar in elevation making the project very challenging. 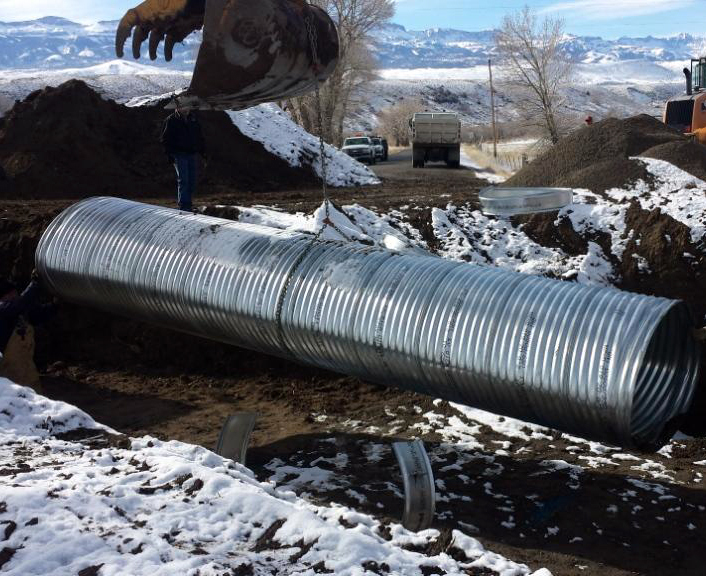 However, both the HEL-COR corrugated arch pipe and the twin barrels of DuroMaxx irrigation siphon were installed with relative ease given these constraints. The wall thicknesses of the DuroMaxx pipe allowed for acceptable spacing between the two while its smooth interior would also allow it to maintain the anticipated hydraulic flow capacity. 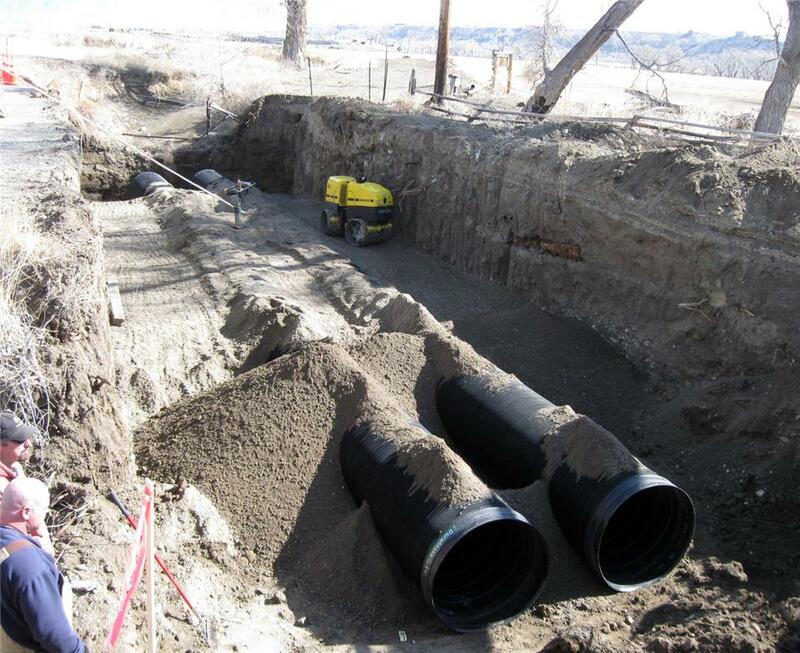 Park County was very happy that not only were they able to purchase both products from the one supplier but that Contech provided the technical information that was needed for this unique installation of a siphon under a creek crossing. With some slight weather delays and the setting of the concrete surrounding the culvert, the installation took roughly five weeks. The County Road and Bridge crews were able to install both the siphon pipes and creek arch culvert smoothly. The final result was a much more functional storm sewer system, constructed on schedule and within a tight budget. DuroMaxx® SRPE » 160 LF of 42” dia. HEL-COR® Pipe Arch » 80 LF of 54” dia.